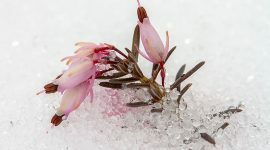 Tiny April flowers lie buried under the ice crystals dropped by the last ice storm. 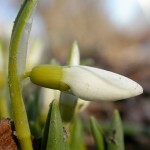 One of the first Snowdrops to grace 2015 prepares to flower on Sixth St.
A garter snake emerges into the sunshine of an early spring day after a winter spent slumbering below ground. 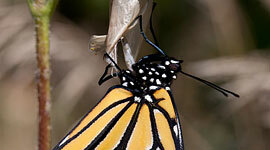 A monarch butterfly stretches its wings for the very first time, mere hours after emerging from its chrysalis. 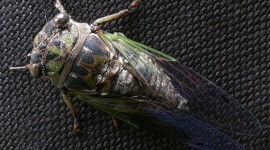 The colourful details of a summertime cicada, set against the weave of a nylon BBQ cover. 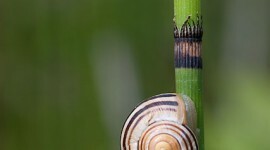 A snail grabs some shuteye on a horsetail stalk on Algonquin Island. 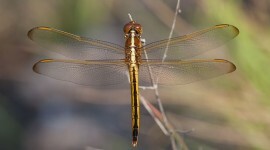 An iridescent dragonfly alights on a small branch in the Archie Carr National Wildlife Refuge. 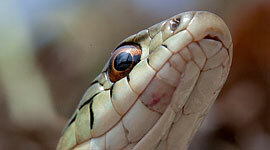 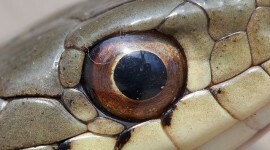 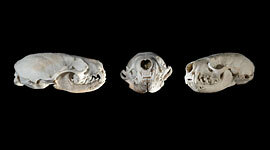 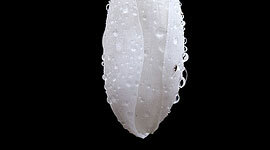 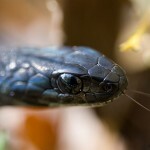 A ridiculous array of Kenko extension tubes — 68mm worth — opens up a garter snake’s eye to fill almost the entire frame. 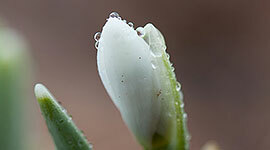 Be my valentine: a snowdrop prepares to bloom improbably early in the season, on February 14th. 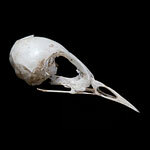 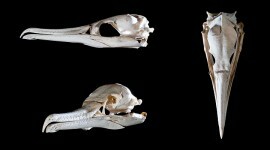 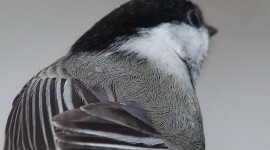 A chickadee shows off the wonderful details in its back feathers. 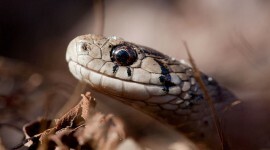 Even in late November, snakes can still be found on the warmer days warming themselves in the low sunlight. 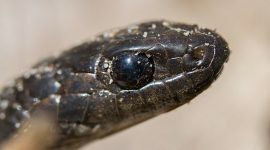 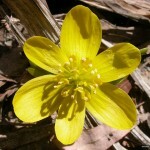 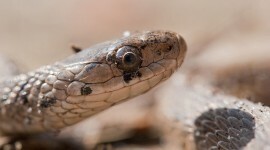 One of the earliest flowers to emerge spreads its yellow petals against the still winter-brown groundcover on Third St.
A tighter view of this garter snake as it emerges from the leaf litter, one of the first snakes to appear in 2009. 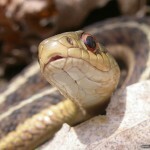 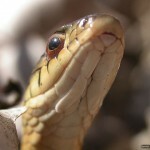 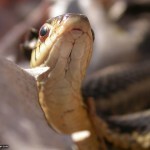 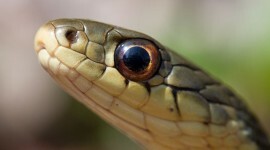 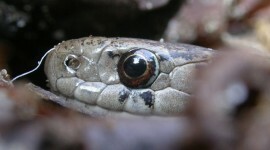 One of the first garter snakes to emerge in 2009 surfaces in the leaves.